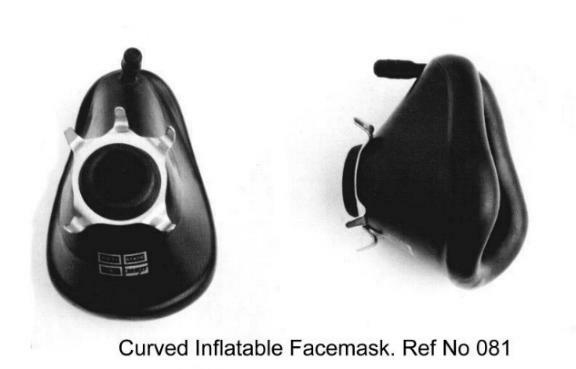 Facemask with curved inflatable pad. Available in adult sizes 5 and 6. Size 6 the larger comes in green. Size 5 is black.